Yes, this the next generation of iAmBeatBox, which has been #1 in Free Music apps in more than 30 countries, with half a million downloads in it’s first month. In iAmBeatBox you had only one gem to control the flow of a beatbox artist with the swipe of a single finger. 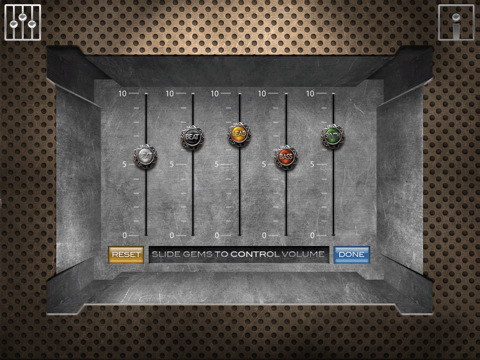 Now, in BeatBox Ultra for iPad, you have five gems, giving you ultimate control of the music. And this special iPad version has an extra row to mix with, putting 25 more tracks in your hands! BeatBox Ultra for iPad is easy to play and master, and has endless combinations. The music is specially designed to sound great no matter what groove you’re going for. As for BeatBox Ultra for iPad, we created our backing loops with both Logic and GarageBand. Feeling creative? Check out all that these powerful music tools have to offer! This is part of our iAmSuite of interactive music apps. Look for other titles!